Made in Ireland from recycled car tyres. This might just be your newest readily available alternate to the usual garden bark mulch. The advantages, by my logic, is that it wouldn’t need to be replenished as often, if at all. Also because it is an inert product [ie. it cannot be considered a growing medium] it cannot break down as a normal mulch would in which weeds eventually will grow into. That said were I normally wouldn’t use a semi permeable membrane to separate soil from bark, I might be inclined to do so in the case of this mulch as one would with lets say a decorative pebble. I can also see this working much better in childrens play areas from an aesthetics point of view as versus the rubber matting. By my reckoning it looks pretty good close up and the tree rings seem a sturdy decent and extremely logic solution to weeds, weeding and their prevention. 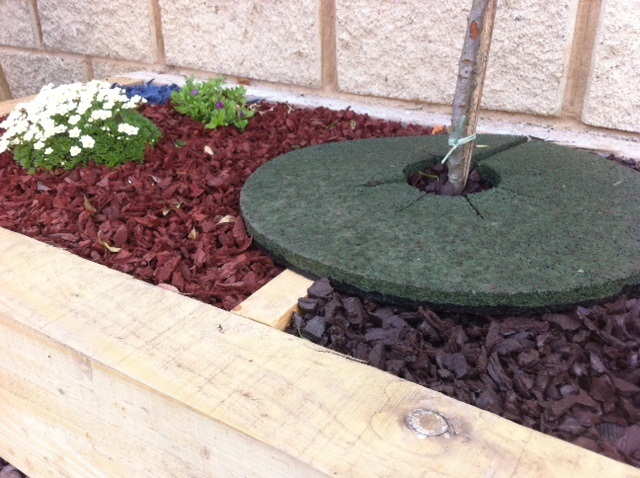 Crumb Rubber are based in Dundalk, Co. Louth, Ireland and employ 24 people. They set up in 2003 to tackle the countries mounting waste tyre problem and in 2010 Crumb Rubber won the Green Entrepreneur Award. what should I do with this….? Masamba Green Recycled Christmas Music…? 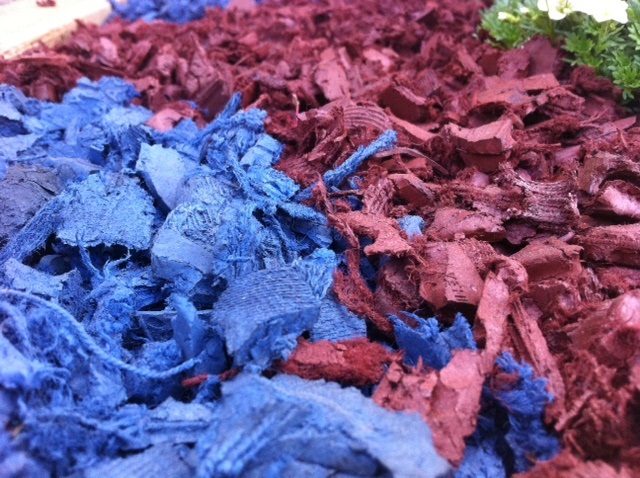 i wonder how life will be for all kinds of (micro) organism under a layer of this mulch. is there any research done on that? I’ve emailed the company about this post so hopefully they’ll answer the question. Being that it’s not of wood I can see were you are coming from.